Already on the self-sufficient road, thinking about or just interested. Maybe you just want a few ideas and tips on gardening, animal husbandry, budgeting, living frugally, being environmentally responsible, and good old home cooking and baking. Growing your own food is something that we all should do, we do not need a huge area in which to grow nor a garden plot at all. These days you can get a lot of variety in the small edibles bracket that can be grown happily in containers or window boxes. It is not only satisfying to the soul but great for our bodies and well being. I say to all give it a go, no matter where you are. Here in Nova Scotia on our homestead we do have a rather large garden, there are a few of us and I love the work. It is harvest time and we are seeing great results. The heirloom tomatoes are producing huge amounts. We have had a wonderful harvest from the greens and whites. Some things like spinach and beetroot failed. I feel they need more nutrients which our soil is lacking. It will improve. All in all we are very happy with this years efforts and looking forward to next year when we plan even more. So, next gardening time grab a few packets of seeds (non GMO ) buy a few veg plants in the sales and give it a go. You will not regret it! A few months ago we decided that the empty paddocks needed to be filled. So, in stepped Jeff an Ayrshire steer. He has been here for a good couple of months now and growing, although he is not a meaty should I say as a beef breed he will provide us with some delicious grass fed, garden scrap fed beef. The clock is now ticking, we are already into September, the deer hunting season is only a few days away and planning the date for Jeff's final day will come forth over the next few weeks. It will be the first time we have processed such a large animal (other than deer) on the homestead. There will be mixed emotions leading up to and on that day. It has to be remembered though that when that time comes he has had a great life and we can rest assured that the meat we eat will be the best possible. 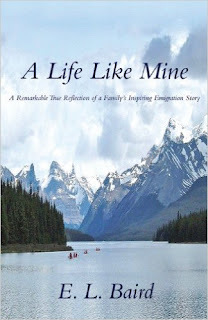 My Book - our story of how we got here"A Life Like Mine"
What is going on on the homestead. Lets get to the bottom about dried beans with an Easy Peasy Beany Bake! House clean, breath clean and be clean! © Emma Baird. Watermark theme. Powered by Blogger.